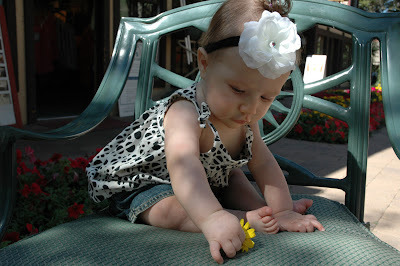 We spent a few days up in Sun Valley with Krista's family last month and took these pictures of Ava playing with a flower. 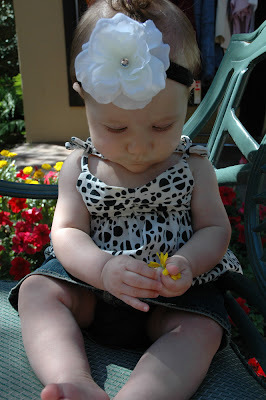 At first we were trying to use the flower to get Ava to look at the camera. When that failed, we decided to just give it to her to play with. This resulted in some darling pictures. 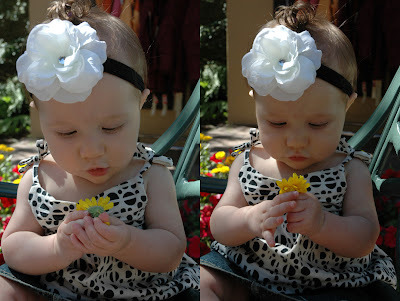 Here she ponders how the flower works. Note the perplexed look. Fine, if I can't eat it, I guess I'll just tear it apart instead. Who knew a flower could be so fascinating? 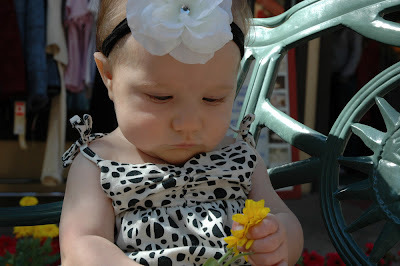 Too cute...she sure is interested in that flower!!! She's getting so big...and cute as ever!! i love this pictures..she is turning into a big girl now. i miss her..